Sampling wine, savory nibbles, dancing to live music, mixing and mingling are the goals of attendees of the 5th Annual Calistoga Food and Wine Event in 2018. 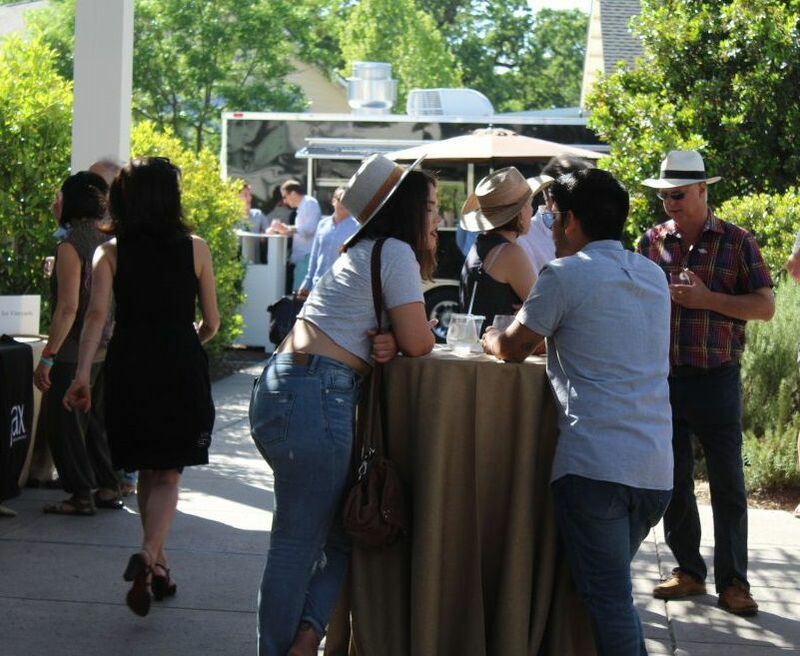 The sixth-annual Calistoga Food & Wine Event will be held Thursday, May 9, through Saturday, May 11 at Solage, in partnership with Calistoga Wine Growers. The event showcases the talents of Calistoga wineries and chefs from 2019. Founded by Solbar at Solage in 2013, the annual event brings the community together through culinary creativity, distinct regional wines and live entertainment. 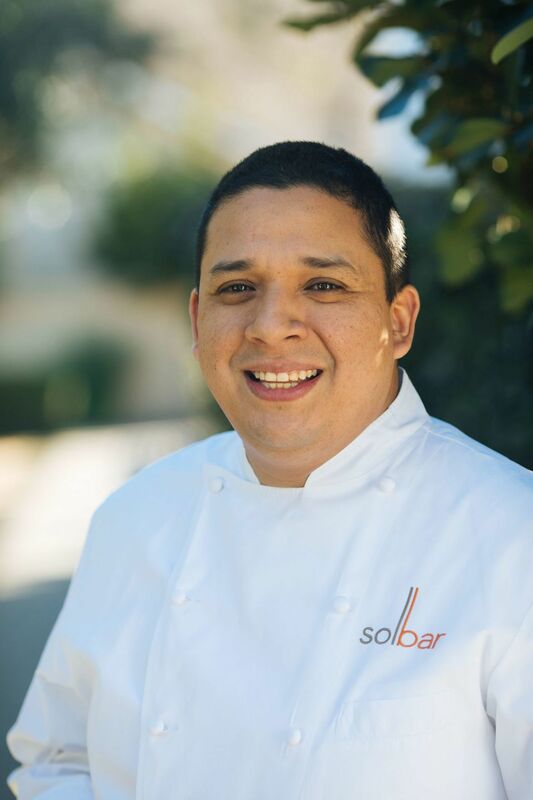 “Solage is honored to team up with some of the top culinary masterminds and award-winning vintners in this region for this spectacular event that celebrates the Calistoga community,” said Donald Stamets, general manager, Solage, Auberge Resorts Collection in a statement. Solage is also offering guests a special Calistoga Food & Wine Package, which includes a nightly room rate in one of Solage’s expansive studios and two tickets to The Grand Tasting event with over 40 wineries to taste from. The weekend will kick off Thursday, May 9, with a reception highlighting three local chefs including Solage’s Executive Chef Gustavo Rios and seven wineries pouring their top-tier wines at Clos Pegase Winery. On Friday, May 10, participants will join chef Rios for a four-course tasting experience set among the rolling vineyards of Hindsight Wines. Later that afternoon, participants can sip, savor, mingle and learn about Calistoga wines at the Calistoga Winemakers Roundtable led by Leslie Sbrocco, television celebrity and host of “Check Please Bay Area.” During this roundtable, guests will be able to enjoy appetizers and taste wines from each participating winemaker while learning about the unique characteristics of their wines and the Calistoga AVA. Following the roundtable discussion and Q&A session, guests will have the opportunity to meet and mingle with the winemakers as well as make arrangements to visit their wineries. In the evening, participating local restaurants will be offering a customized dinner menu, which will include complimentary corkage for Calistoga AVA wines. Saturday, May 11, is The Grand Tasting event at Solage with Rios and the Calistoga Winegrowers. The annual event features more than 40 of Calistoga’s premiere wineries paired with tastings from local restaurants. This year’s participating Calistoga wineries include: 2880, Amici Cellars, August Briggs Winery, Baldacci Vineyards, Ballentine Vineyards, Barlow Vineyards, Bennett Lane Winery, Bragg Vineyards, CAMi Vineyards, Canard Vineyard, Chateau Montelena, Clos Pegase, Coquerel Family Estate Wines, Davis Estates, Dutch Henry, Fairwinds Estate Winery, Fisher Vineyards, Girard, Hindsight Wines, Huge Bear Wines, Jack Brooks Vineyard, Jericho Canyon Vineyard, Jones Family Vineyards, Kaiser Family Winery, Kenefick Ranch Vineyards, Knighton Family Vineyards, La Sirena, Phifer Pavitt Wine, Poggi Wines, Romeo Vineyards and Cellars, Sebright Cellars, Shypoke, Storybook Mountain Vineyards, Sterling Vineyards, Switchback Ridge, Tom Eddy Winery, Twomey Cellars, Von Strasser/Lava Vine, Weppler Vineyards and Ziata.